Did you know there are hundreds of uses for vinegar that have been passed down through the ages? This list is by no means exhaustive but here we cover the 10 most common. Apple cider vinegar also referred to as ACV is one of the most popular natural remedies on the market and with good reason. This age old elixir has stood the test of time with its first recorded use dating back to around 400 B.C. 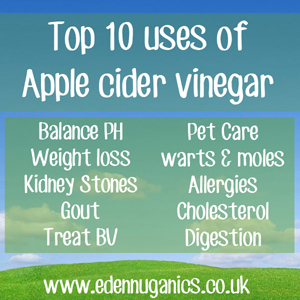 However ACV is just as relevant in today's world as it was in the times of ancient Greece. Every day, a plethora of new and exciting health applications for apple cider vinegar are being discovered and at times it can be difficult to know where to start. This is why we have brought you the definitive top 10 uses of this multi-talented health tonic. 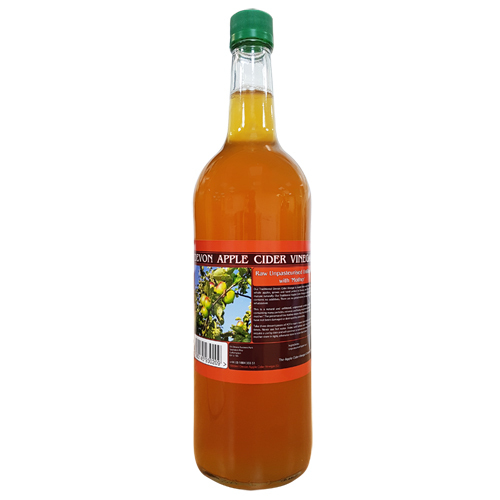 SIDE NOTE: Before you read on it is worth mentioning that when using ACV for medicinal reasons it is essential to use a raw, unpasteurized apple cider vinegar that still contains the living enzyme known as the "mother" It is this substance that is responsible for many of ACV's health properties and is sadly missing in many low grade vinegars. Apple cider vinegar helps to balance our body's natural pH levels: The pH scale is how we measure the alkalinity or acidity of a substance. It ranges from 1 - the most acidic, to 14 - the most alkaline. 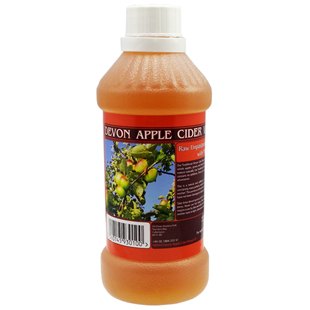 Apple cider vinegar helps to alkalise our bodies and keep our pH levels at the optimal state; around 7.35 - 7.45. This can have a dramatic impact on health as many diseases are known to only thrive in acidic environments. Regular consumption of ACV is known to aid in weight loss: Tired of trying a new diet each week with little or no results? Apple cider vinegar has a proven track record of reducing waistlines and its use has been endorsed by many celebrities including the likes of Megan Fox. How does it work? 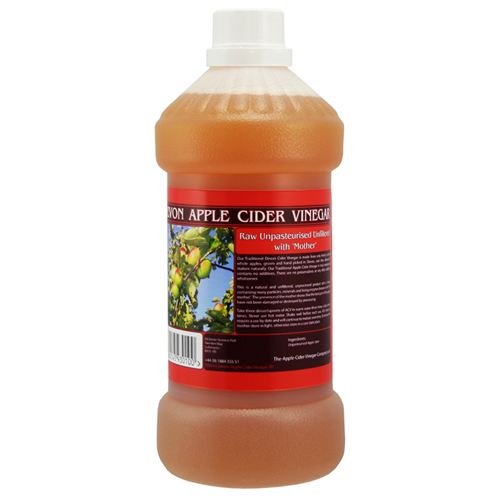 ACV contains a substance known as acetic acid that has been shown in studies to help suppress body fat accumulation and increase metabolism. Apple cider vinegar can be of benefit to people suffering from kidney or bladder stones: Anyone who has gone through the suffering associated with kidney stones will know the anguish of trying to eliminate them from the body. Apple cider vinegar can save you the pain of eliminating these often sizeable stones the hard way by dissolving them while still inside the body. ACV as a treatment for gout and joint conditions: Gout is caused by a build up of uric acid crystals in our joints and is known in cases to become extremely painful. 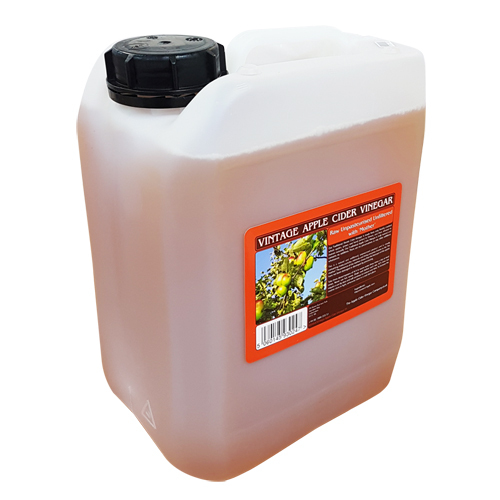 The alkalising effect of apple cider vinegar helps to reduce the levels of uric acid in the blood supply thereby improving flexibility and reducing pain levels throughout the body. Apple cider vinegar can be used as a home remedy to treat bacterial vaginosis: Although this is one of the more popular uses for apple cider vinegar it can still be seen as somewhat a taboo subject to cover. BV will affect around 75% of women at some point during their lives and although it can be treated through conventional medicines including antibiotics, for many people this is something which they look to avoid whenever possible. 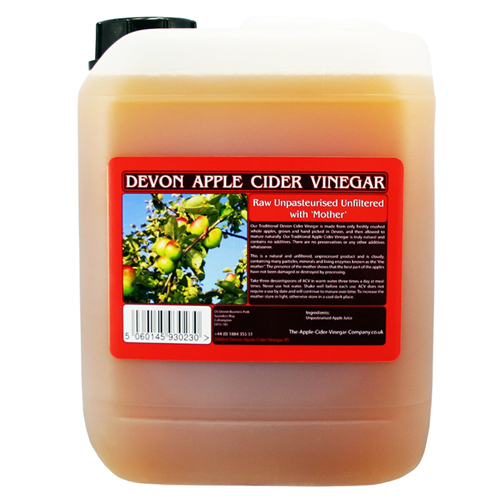 Apple cider vinegar offers a natural and safe solution to this problem. Apple cider vinegar is also used in animal and pet care: It's not just humans who can benefit from the healing properties of apple cider vinegar. This popular natural remedy can be used as a natural flea repellent on dogs, and is often used in farming especially in the care of poultry. ACV can be used to remove warts and moles: This tried and tested method of wart removal is both safe and extremely cost effective, simply apply ACV to a small cotton pad and hold in place with medical tape over the wart. Replace with a fresh cotton pad each day, after around 5 days to a week the wart will turn black and fall off. Apple cider vinegar can improve our body's response to allergies: Not only does apple cider vinegar reduce the build up of mucus associated with allergies but it also helps to cleanse our lymphatic system. The best way to take ACV when treating allergies is to add two tablespoons to a glass of water twice a day. Manuka honey can be added for additional benefits and to sweeten the taste. ACV can be used to reduce cholesterol and lower blood pressure: High blood sugar and cholesterol levels affect a large percentage of both women and men in this country, especially in later life, but rather than having to take nasty pharmaceutical Statin drugs with known negative side effects, apple cider vinegar offers a completely natural approach to managing these ailments. Improve your digestion with Apple cider vinegar: Are you used to that bloated feeling after every meal? Often our digestive system fails to perform at full capacity which can lead to many problems including gastritis. A great way to combat this issue is to take a teaspoon of raw organic apple cider before each meal, this will help to activate key digestive enzymes and reduce fatigue.